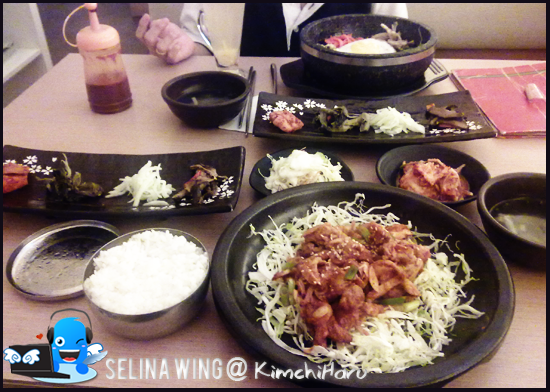 I am very busy untill don't have time to post my food collection...Sometimes, I forget to put the food photos. Hope you all not mind with my old photos! Last May, my best friend and I decided to hang out because she want to listen more about my trip, Turkey and gossip..gossip..Haha! Long time, we don't meet each other because she was really busy to take care of her 1st son. Today, she got a very cute daugther! 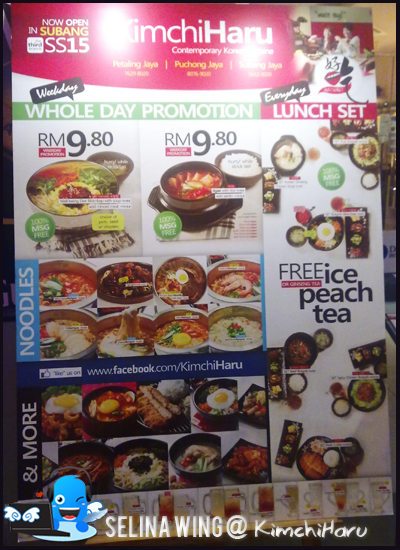 She suggested that we should try new in the IOI Boulevard Puchong because there are more new restaurants, include KimchiHaru Korean Restaurant.We are looking for the cheap promotion dinner and found the reasonable prices which get to attract us! Why it named KimchiHaru? 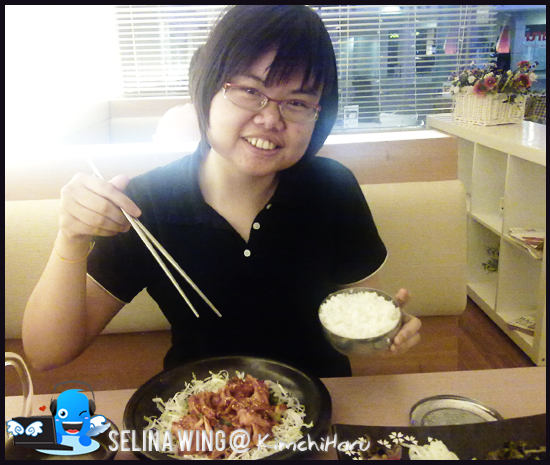 I think that Kimchi, a traditional Korean pickled dish is made of pickled cabbage in a spicy sauce. As I know, kimchi is in the lists of top five "World's Healthiest Foods" for being rich in vitamins, aiding digestion, and even possibly reducing cancer growth. 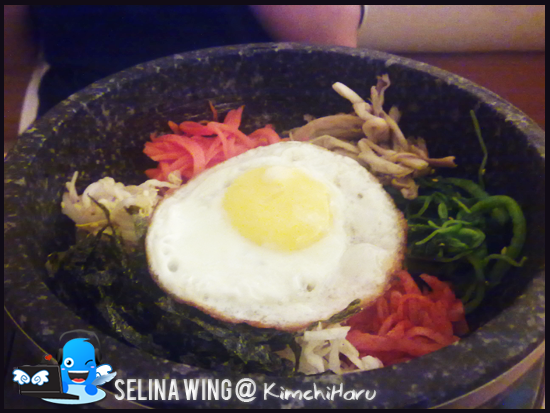 Read Wikipekia-Kimchi. "Haru", mean Day. 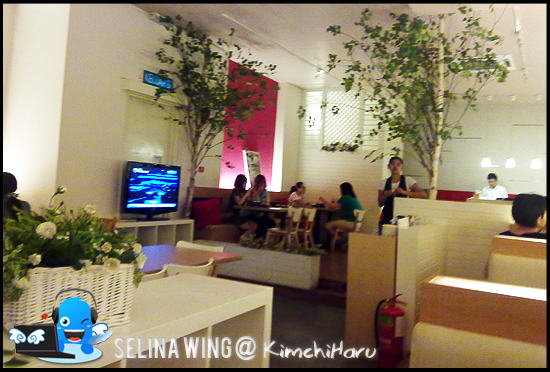 decoration is very simple and normal but, also get the garden-style (natural tree) with some cozy sofa seat, so it become the relaxing place for dining. 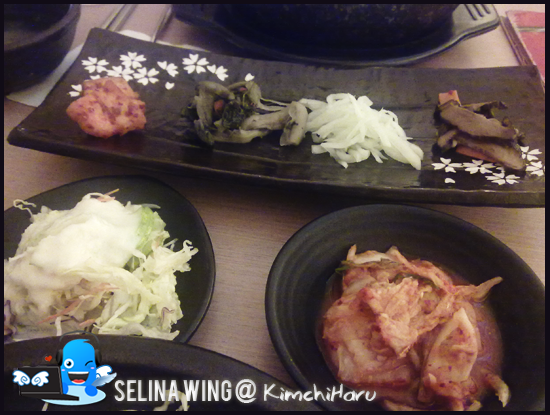 Normally, KimchiHaru provides only two side dishes which are the salad and kimch. I forget what are the drinks that we ordered...? Nevermind. 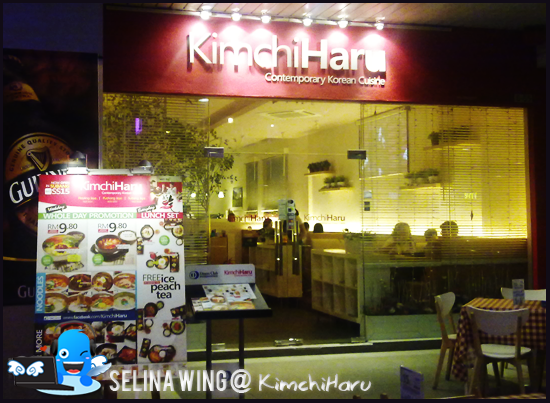 Last time, we used to eat BBQ Korean restaurant always, now they introducte new healthy "KimchiHaru" which are very good for everyone can eat normal as this prices are cheaper if compare to other Korean restaurants. 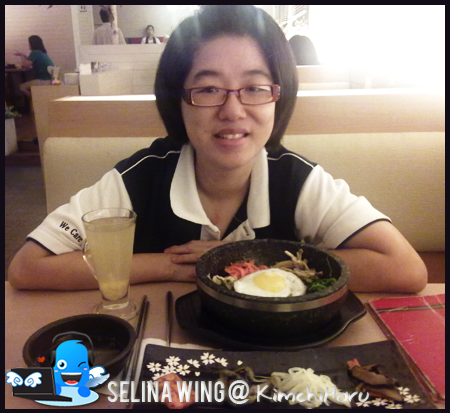 My best friend and I really enjoyed to eat delicious Korean food! We also can surf the internet with FREE wifi or watch the popular Korean Pop songs on TV at KimchiHaru Korean Restaurant! You should try it when you go to IOI Boulevard. 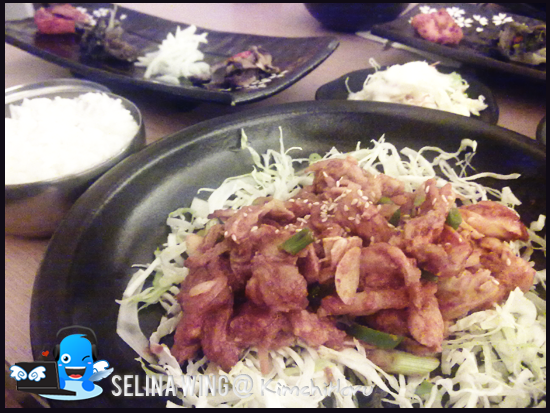 We still not try other restaurant around IOI Boulevard and SetiaWalk there...Next time, we will go again when we are free!